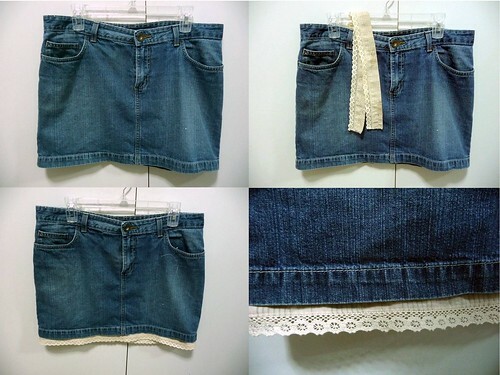 Posted by misscraftyfingers in Fashion, Refashion, Sewing, Tutorial. 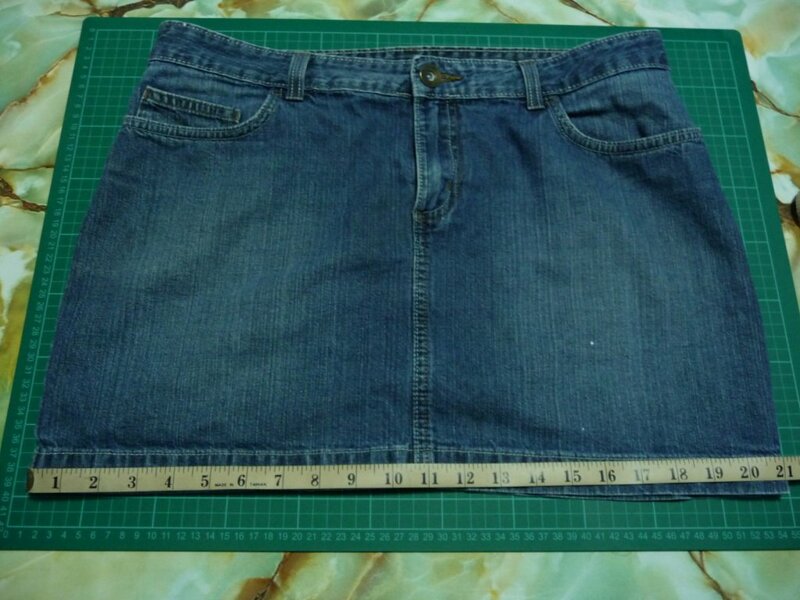 Earlier this week, I was rummaging through my wardrobe for something to wear besides my daily jeans and I found some old denim skirts I have. 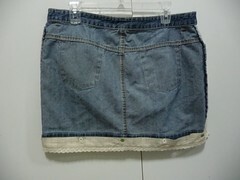 I used to wear denim skirt EVERYDAY. I have about 7 of them. 😛 You know how sometimes you are totally into some styles for a period of time and then you stop wearing them. A few years down the road, you take the old clothes out and wear them again and you either feel weird in them or ask yourself why you wore that style back then. 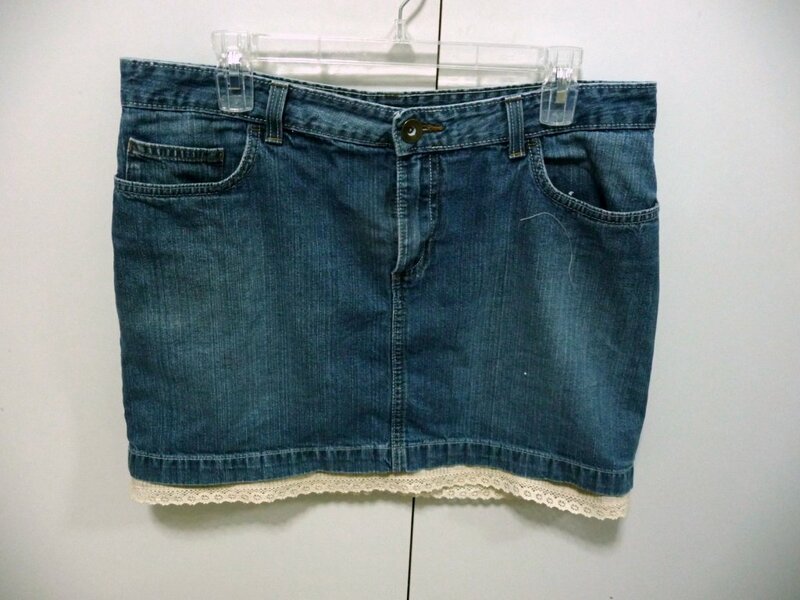 😛 Well, I felt weird in this particular denim skirt … it felt too short. 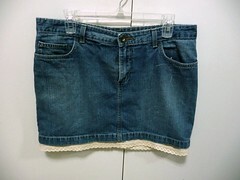 So, I decided to update my denim skirt. 1. 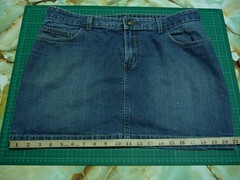 Measure the hemline of the skirt (front + back + 1 inch). 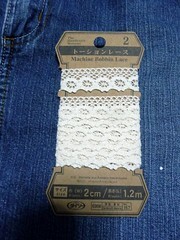 This is the length of fabric and lace you should cut. 2. The width of the fabric is up to you. 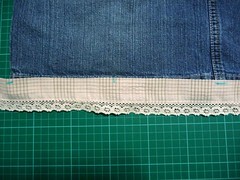 I only wanted about a inch longer for the extention so I cut about 2.5 inches of the fabric. You can cut a wider piece if you want it to be longer. 3. 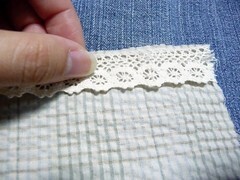 Place the lace on the top edge of the fabric (right side). Fold the other side of the edge up to meet. 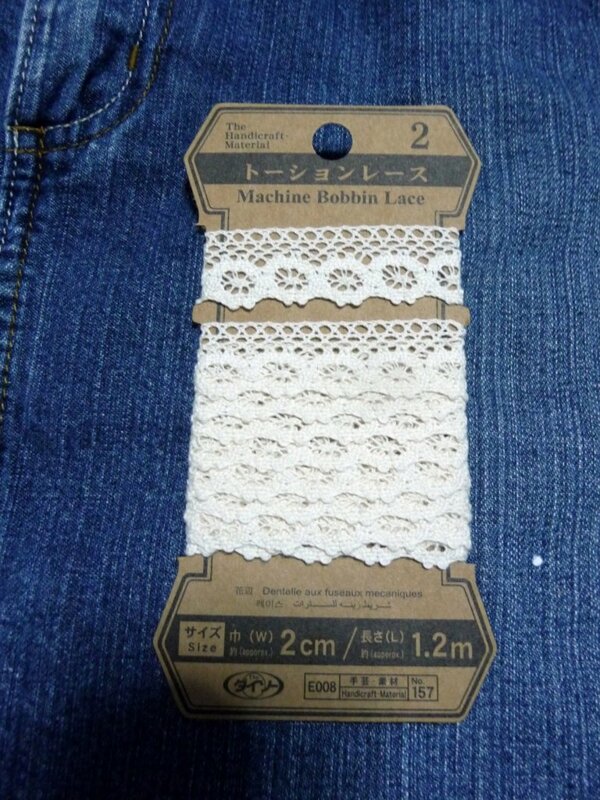 The lace will be sandwiched between the folded fabric. Pin the lace in place between the fabric. 4. 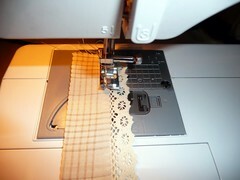 Sew a straight line on top where the lace is between the fabric. 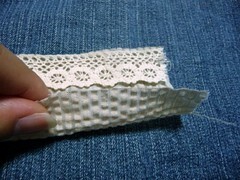 This will form a tube with the lace inside. 5. Turn the tube inside out and iron the fabric & lace flat. 6. 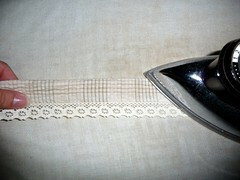 Run a straight stitch at the fabric edge where the lace is to keep it flat. 7. 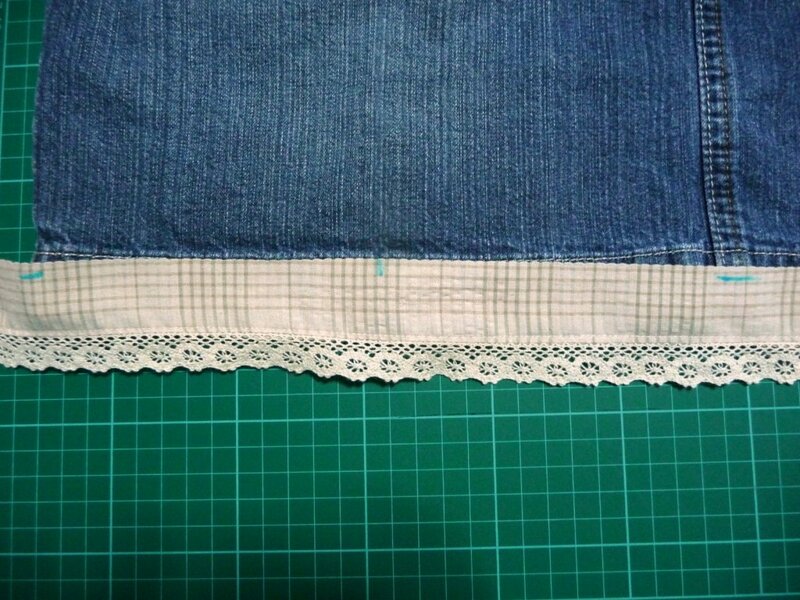 Place the piece of fabric you just sewed onto the inside of the hem line and mark the places you want to sew buttonholes onto the fabric. 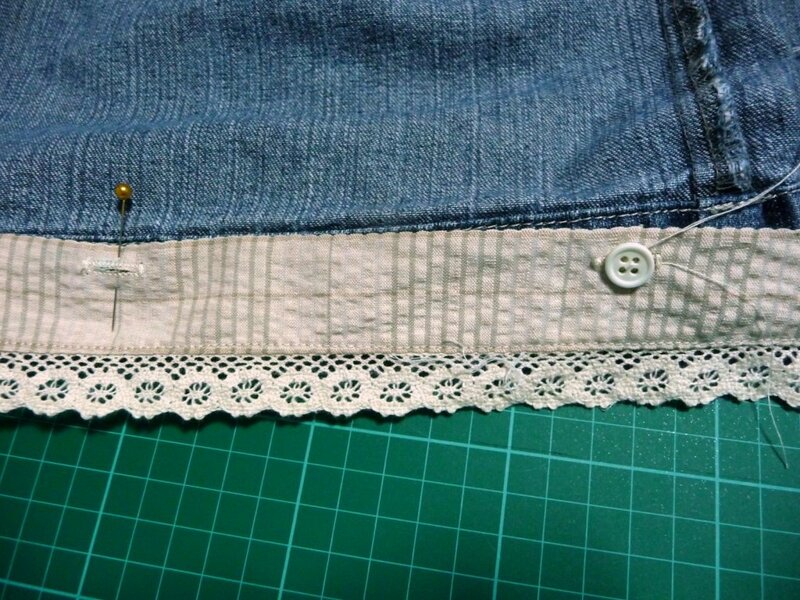 Sew the buttonholes onto the places where you marked. 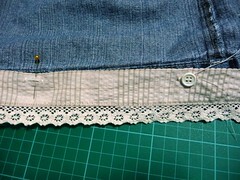 Cut open the buttonholes. 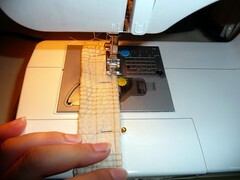 I did my buttonholes with my awesome automatic button holer on my Brother sewing machine. 😀 Your machine should have a guide on how to sew a button hole. If not, this is a good tutorial on how to sew a button hole manually. 9. 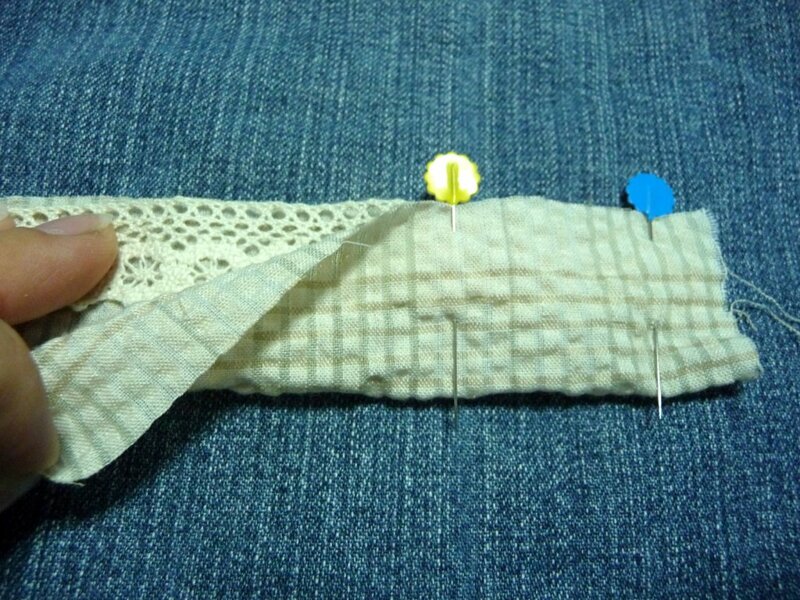 Pin the fabric onto the hem line all around on the wrong side of the skirt. 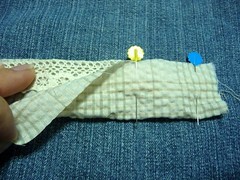 Start sewing the buttons onto the skirt where the button holes are. 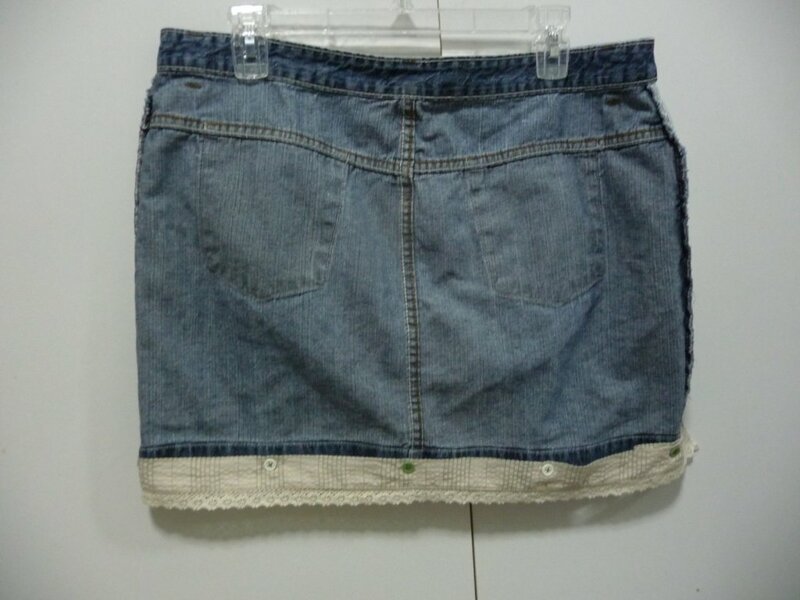 When you feel like wearing the denim skirt just the way it is, just remove the extention. 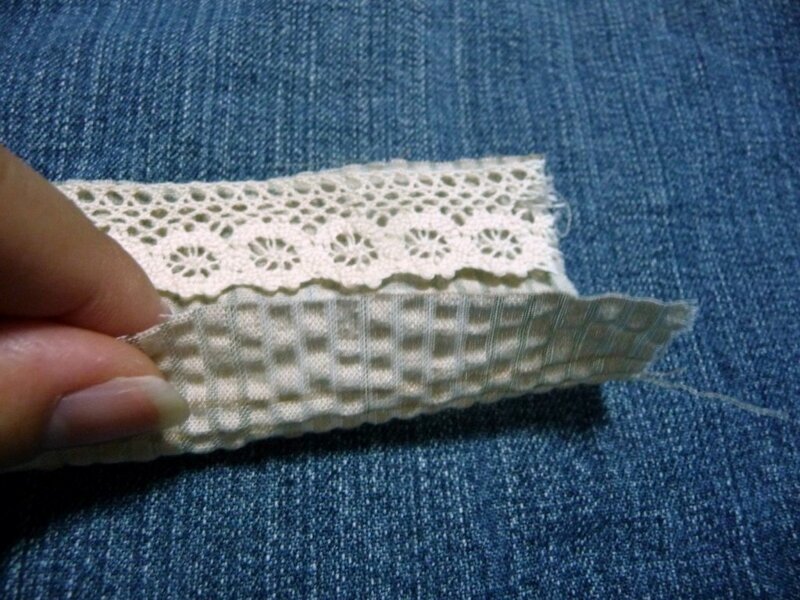 On days you feel like having the extra lace, just button it on!